Your family, your business and your estate: the most important things in your life are what Mike Blanks has dedicated his legal career protecting and preserving for his clients and their families. Mr. Blanks has over twenty-five years of experience successfully helping clients as an effective trial attorney litigating divorce, custody, estate and business related cases. He also brings to the negotiating table his skills gained from a multi-faceted practice and his time working as a CPA prior to law school in assisting clients outside the courtroom by cost effectively resolving family law, business and other civil matters through mediation and alternative dispute resolution methods. Mr. Blanks has been recognized by Law & Politics in Richmond Magazine as a past “Super Lawyer”, and by Virginia Business Magazine as one of Virginia’s “Legal Elite” for being voted by his peers statewide as one of the top attorneys in his field. He has authored several published articles, has been a speaker and presenter at numerous continuing education seminars for his peers and other groups. He actively participates as a member and officer of various bar organizations including a term as President of the Metro Richmond Family Law Bar. Mr. Blanks received his degree in business administration and accounting from James Madison University. He then worked as a CPA for a large, national accounting firm before pursuing a law degree from the T.C. Williams School of Law at the University of Richmond. Mr. Blanks is a lifelong resident of Richmond, Virginia where he resides in the Short Pump area of Richmond with wife and three children. Mr. Blanks is a recognized leader in his profession in the area of divorce and family law. His practice includes all aspects of family law including contested and uncontested divorce; negotiating and drafting prenuptial agreements; property settlement agreements from simple cases to complex cases for professionals, executives and wealthy families; child custody, support and spousal support issues. Mr. Blanks’ background of an undergraduate business and accounting degree, coupled with several years of experience working for a large, national CPA firm, makes him uniquely qualified to represent clients with financially complex divorce cases, such as those involving professional practices, business owners and those families with trust and estate issues as significant factors in their divorce. Mr. Blanks also devotes a significant portion of his practice to child custody litigation representing parents throughout Virginia. Mr. Blanks is an experienced wills, trusts, estate planning, and probate administration attorney. He draws upon his many years of experience beginning when he worked for an accounting firm prior to law school where he provided tax, audit, and accounting services to businesses ranging in size from a sole owner to working as part of a team advising several of the Fortune 500 companies around the country. With the ever changing and complex tax, federal and Virginia state laws in this area it is critical to have a knowledgeable and experienced attorney to properly advise you on how to preserve and protect your estate for your family. Elder law issues are of paramount concern to an increasing aging population. For those clients that require an effective trial attorney for estate and trust litigation, Mr. Blanks has many years of experience handling these difficult cases. He provides competent and practical advice with the understanding, discretion and compassion you require in all family matters. With his extensive trial experience, Mr. Blanks often represents local businesses of all sizes with their diversified commercial litigation, mediation and arbitration needs. 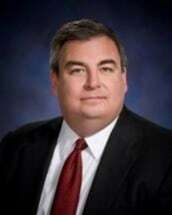 His background in accounting and law sets him apart from the majority of other attorneys as both a litigator and effective negotiator for alternative dispute resolution cases. Trust your personal law needs for your family, your business and your estate to Mike Blanks and the firm of Coates & Davenport. Voted by Virginia Business Magazine as a “Legal Elite” Attorney 2006 for having been selected as being in the top 5% of the best lawyers in Virginia.